Prescribing Afrezza®, a different way to think about insulin. Afrezza insulin units are different than injected insulin units because Afrezza is inhaled and in powder form, while other mealtime insulins are in a liquid form and injected. Before prescribing Afrezza, healthcare providers should review the patient’s medical history, conduct a physical exam, and perform a spirometry test (FEV1). Patients should not take Afrezza if they have chronic lung disease, such as asthma or COPD, or if they smoke or have recently stopped smoking. Conversion: Based on clinical trials, consider a ~1.5x conversion from injectable insulin units to Afrezza Units, to achieve a comparable glucose effect.14,18 Additional dose adjustments might be needed. Converting from multiple daily injections (MDI). Initiate prandial Afrezza at 1.5 Afrezza units for every one injectable insulin unit. Adjust mealtime doses by 4 unit increments every 3 days based on 2 hr PPG > 160 mg/dL (3 day average). Initiating Afrezza: MDI 8 units subcutaneous injection per meal. 8 units x 1.5 = 12 units Afrezza inhalation per meal. Adjusting Afrezza: Increase mealtime dose by 4 unit increments every 3 days until PPG controlled (additional cartridges may be required). Dosing option for patients new to prandial insulin. Given with each meal for 3 days (total of 12 Afrezza Units per day). Dose adjusted to 8 units with each meal based on 2 hr PPG x 3 days (PPG > 160 mg/dL). Given with each meal for 3 days (total of 24 Afrezza Units per day). Dose adjusted to 12 units with each meal based on 2 hr PPG x 3 days (PPG > 160 mg/dL). Given with each meal for 3 days (total of 36 Afrezza Units per day). Continue to adjust dose by 4 unit increments every 3 days until PPG controlled. Afrezza units to meet your patients’ needs. Inhale 12 Afrezza Units by mouth before meals or as directed. Maximum daily dose of 36 units per day. • Jason was diagnosed with type 2 diabetes 6 years ago. • A1C is over 9.0. • He’s on a daily regimen of multiple OAs and is frustrated with not reaching his glycemic target. • Hearing the word “insulin” brings up a negative connotation associated with giving himself daily injections throughout the day in public. • Jason is looking for options to help achieve his glycemic target. Consider Afrezza for patients like Jason. • The only inhaled option that delivers a rapid insulin response. • Patients take Afrezza when they are ready to eat. 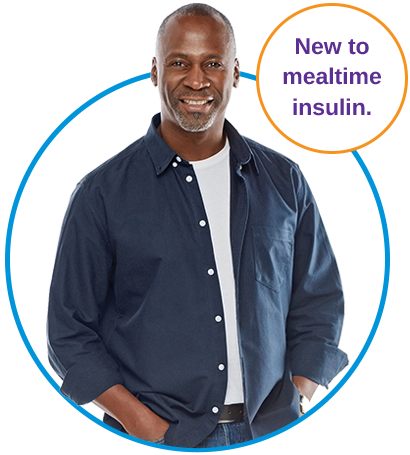 • Jason can avoid additional injections of insulin at mealtime. If you have patients with evolving diabetes treatment needs, Afrezza may be the insulin therapy they need. Meet Sia, a patient living with type 1 diabetes. • Sia’s A1C is 8.2. • Her injectable insulin regimen is comprised of basal insulin plus insulin lispro before meals, requiring her to take multiple injections per day. • During her most recent visit, Sia mentioned she is still frustrated with the time it takes for her mealtime insulin to take effect. • She is concerned about having low blood glucose. • Sia is now in a job where timing her meals is not simple. She has a very dynamic schedule and sometimes worries about when and where she should start injecting her rapid acting insulin. • She hasn’t found what would help her achieve her target goal. Consider Afrezza for patients like Sia. • Afrezza offers rapid absorption which is in the blood in < 1 minute. 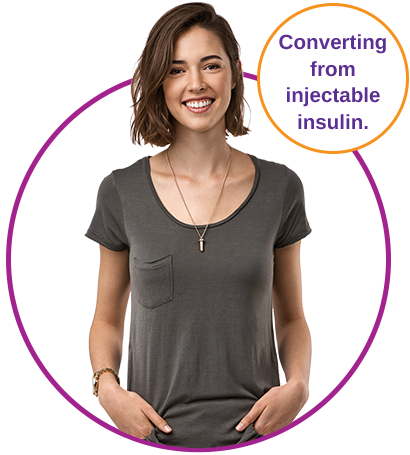 • Afrezza’s innovative delivery method allows Sia to experience fewer insulin injections per day. • Afrezza was proven to be noninferior to insulin aspart in clinical trials. If you have patients struggling to manage postprandial plasma blood glucose levels, Afrezza may be the insulin therapy they need. Afrezza requires spirometry (FEV1) testing. 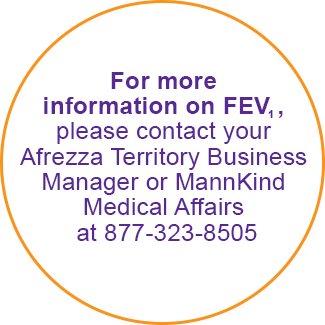 Before initiating Afrezza, perform a detailed medical history, physical examination, and spirometry test (FEV1) in all patients to identify potential lung disease. Assess pulmonary function (e.g., spirometry) at baseline, after the first 6 months of therapy and annually thereafter. In patients who have a decline of ≥ 20% in FEV1, consider discontinuing Afrezza. Consider more frequent monitoring of pulmonary function in patients with pulmonary symptoms such as wheezing, bronchospasm, breathing difficulties, or persistent or recurring cough. If symptoms persist, discontinue Afrezza. Note: Spirometry is a test that measures how an individual inhales or exhales volumes of air as a function of time. The Forced Expiratory Volume (FEV1) in 1 second measurement is one of the spirometry tests: volume delivered in the first second during an expiration made as forcefully as possible. Learn about Afrezza and lung function. 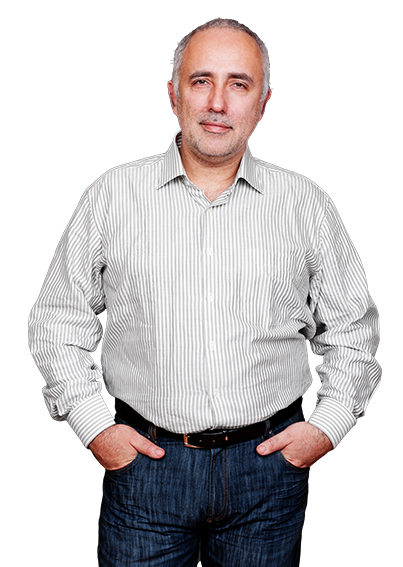 See if Afrezza is right for your patients. Request samples, learn about FEV1, or schedule a representative to come visit your office. 1. Afrezza® [package insert]. Danbury, CT: Mannkind Corporation; 2017. 9. Cassidy J, Amin N, Marino M, et al. Insulin lung deposition and clearance following Technosphere® insulin inhalation powder administration. Pharm Res. doi: 10.1007/s11095-011-0443-4. 12. Rossetti P, Porcellati F, Bolli GB, Fanelli CG. Prevention of hypoglycemia while achieving good glycemic control in type 1 diabetes: the role of insulin analogs. Diabetes Care. 2008; Feb;31 Suppl 2:S113-120. doi: 10.2337/dc08-s227. 13. Potochka E, Hovorka R, Baughman R, et al Characterization of metabolism parameters following Technosphere® insulin and insulin Lispro. Poster #1561-P presented at: American Diabetes Association. 70th Scientific Session; 2010; Orlando, FL. 14. Bode BW, McGill JB, Lorber DL, et al. Inhaled Technosphere® insulin compared with injected prandial insulin in type 1 diabetes: a randomized 24-week trial. Diabetes Care. 2015; 38(12):2266-2273. 17. Rosenstock, J., Franco, D., Korpachev, V., et al. Inhaled Technosphere Insulin Versus Inhaled Technosphere Placebo in Insulin-Naïve Subjects With Type 2 Diabetes Inadequately Controlled on Oral Antidiabetes Agents. Diabetes Care. 2015a;38:2274–2281. 18. Rosenstock J, Lorber DL, Gnudi L, et al. Prandial inhaled insulin plus basal insulin glargine versus twice daily blaspart insulin for type 2 diabetes: a multicentre randomised trial. Lancet. 2010;375(9733): 2244-2253. doi: 10.1016/S0140-6736(10)60632-0. WARNING: RISK OF ACUTE BRONCHOSPASM IN PATIENTS WITH CHRONIC LUNG DISEASE. Acute bronchospasm has been observed in patients with asthma and COPD using AFREZZA. AFREZZA is contraindicated in patients with chronic lung disease such as asthma or COPD. Before initiating AFREZZA, perform a detailed medical history, physical examination, and spirometry (FEV1) to identify potential lung disease in all patients. Before initiating AFREZZA, perform a detailed medical history, physical examination, and spirometry (FEV1) to identify potential lung disease in all patients. AFREZZA is not a substitute for long-acting insulin. AFREZZA must be used in combination with long-acting insulin in patients with type 1 diabetes mellitus. AFREZZA is not recommended for the treatment of diabetic ketoacidosis. The safety and efficacy of AFREZZA in patients who smoke have not been established. The use of AFREZZA is not recommended in patients who smoke or who have recently stopped smoking (less than 6 months). Acute Bronchospasm: Before initiating therapy, evaluate patients with a medical history, physical examination and spirometry (FEV1) to identify potential underlying lung disease. Acute bronchospasm has been observed following AFREZZA dosing in patients with asthma and patients with COPD. The long-term safety and efficacy of AFREZZA in patients with chronic lung disease have not been established. and dose cautiously and only under medical supervision. Changes in insulin strength, manufacturer, type, or method of administration may result in the need for a change in insulin dose or an adjustment in concomitant oral antidiabetic treatment to help mitigate the risk of hypoglycemia or hyperglycemia. Hypoglycemia: Hypoglycemia is the most common adverse reaction of insulin therapy, including AFREZZA, and may be serious and life-threatening. Educate patients and caregivers on mitigating the risks associated with hypoglycemia. Increased frequency of blood glucose monitoring is recommended for patients at higher risk for hypoglycemia and patients who have reduced symptomatic awareness of hypoglycemia. Decline in Pulmonary Function: AFREZZA has been shown to cause a decrease in lung function as measured by FEV1. In clinical trials lasting up to 2 years, AFREZZA treated patients experienced a small (40 mL) but greater FEV1 decline than comparator-treated patients. Assess pulmonary function with spirometry at baseline, after the initial 6 months of therapy and annually thereafter even in the absence of pulmonary symptoms. Consider more frequent lung function assessment in patients with pulmonary symptoms, e.g., wheezing, bronchospasm, breathing difficulties, or persistent or recurring cough. If symptoms persist, discontinue AFREZZA. Lung Cancer: In clinical trials, 2 cases of lung cancer were reported in patients exposed to AFREZZA while no cases were reported for the comparators. In both cases, a prior history of heavy tobacco use was identified as a risk factor for lung cancer. Two additional cases of lung cancer (squamous cell and lung blastoma) were reported in non-smokers exposed to AFREZZA after the trial completion. These data are insufficient to determine whether AFREZZA has an effect on lung or respiratory tract tumors. In patients with active lung cancer, a prior history of lung cancer, or in patients at risk of lung cancer, consider whether the benefits of AFREZZA outweigh the risks. Diabetic Ketoacidosis (DKA): Increase the frequency of glucose monitoring and consider an alternate route of administration of insulin in patients at risk for DKA. Hypersensitivity Reactions: Severe, life-threatening, generalized allergy, including anaphylaxis, can occur with insulin products, including AFREZZA. If hypersensitivity reactions occur, discontinue AFREZZA, treat per standard of care and monitor if indicated. Hypokalemia: Closely monitor potassium levels in patients at risk of hypokalemia and treat if indicated. Fluid Retention and Heart Failure with Concomitant Use of Thiazolidinediones (TZDs): Fluid retention, which may lead to or exacerbate heart failure, can occur with concomitant use of TZDs and insulin. Observe these patients for signs and symptoms of heart failure. If heart failure occurs, manage according to current standards and consider TZD dose reduction or discontinuation. The most common adverse reactions associated with AFREZZA (2% or greater incidence) are hypoglycemia, cough, and throat pain or irritation. Certain drugs may affect glucose metabolism, increasing the risk of hypoglycemia or decreasing the blood glucose lowering effect of AFREZZA. Dose adjustment and increased frequency of blood glucose monitoring may be required. Co-administration of beta-blockers, clonidine, guanethidine, and reserpine with AFREZZA may reduce the signs and symptoms of hypoglycemia. For full list, please see Full Prescribing Information.